Ma Lean is my 3rd youngest sister from the 2nd marriage of my father to Chak Wai Lin. My father passed away on 20 Nov 2009 of heart failure at age 88 while Ma Lean's mother passed away on 18 Aug 2012 at age 67 due to a relapse of cancer. My oldest sister Moon Lean, seen in red by my father, is 79 years of age who will turn 80 this Sept 6. My second sister Mei Lean in a sleeveless blouse, seen beside my father, is 64 years of age who will turn 65 this Aug 7. She lives in the UK. Ma Lean turned 40 earlier on Feb 14 this year. 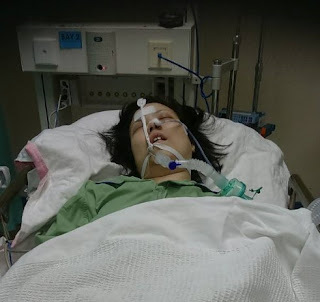 She had been living in Klang with friends after losing both her parents. The above photo was taken on her birthday celebration. 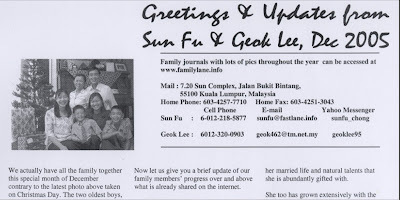 I had also offered her a choice to stay in JB with a car that was nearer to me as my family is based in Singapore. She did drive over to our home in Singapore where we talked about plans that she could prepare to work in Singapore but when I went overseas at that time, she drove back to Klang again and never returned. Most helpful of all her friends was a Catholic named Raj Kumar who let her stay with his mom and sister in Klang with plans where she could work in a small business with his sister. 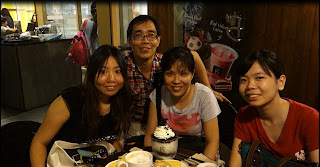 The above is a photo when I was first introduced to him in the A&W drive-through outlet in PJ in the August month of 2015. I invited Raj to bring Ma Lean to the KL branch of our LDS Church one Sunday but that was the only time she came. I celebrated one of her birthdays with her when I was in town. According to Raj after her 40th birthday in February, she started to have symptoms of headaches and merely requested for Panadol. She had also started to lose weight and became very fair. 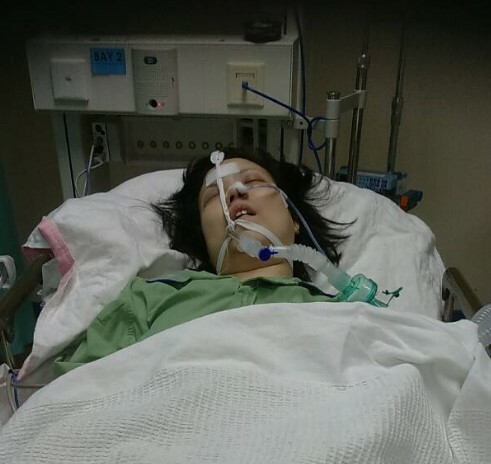 When the headache became intolerable, she was admitted to the General Hospital in Klang in the first week of June. 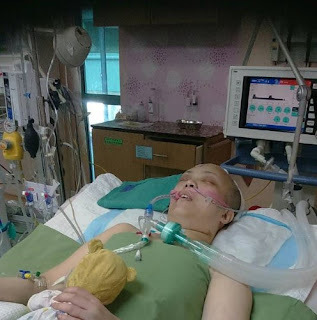 When diagnosed that she had a tumor growing in her brain she was transferred to the Sungai Buloh hospital. They confirmed it was malignant and the doctors decided it was too dangerous to operate and did not proceed. She passed away at 7.17pm on Wednesday, June 13, 2018. Cause of death stated in her death certificate is as follows, "Space occupying Lesion with Malignant Cerebral Edema." 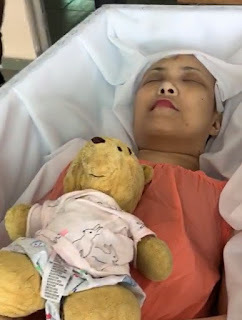 The last photo of her with her favorite doll in the casket at the Gui Yuan Crematorium in Petaling Jaya. She was cremated on Friday, June 15. Her name has been added to a perpetual 'In Memory' Easter post for those who have died and will live again because of Him found here. 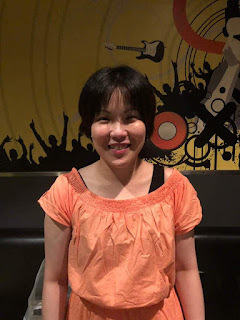 She joins her parents in the spirit world and others who passed on earlier whom I am aware of where their names have been added in my special Easter post shared in the link given above. 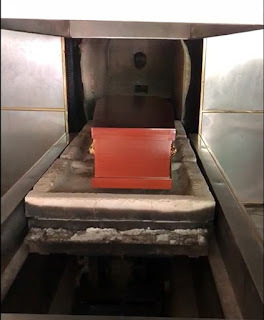 The above photos are original from our father's in memory post of the Kwong Tong Cemetery located at Lot 507 Seksyen 69, Jalan Dewan Bahasa, 50460 Kuala Lumpur.